Are you running out of time to stay fit? Or looking for a way to increase your ability to exercise? 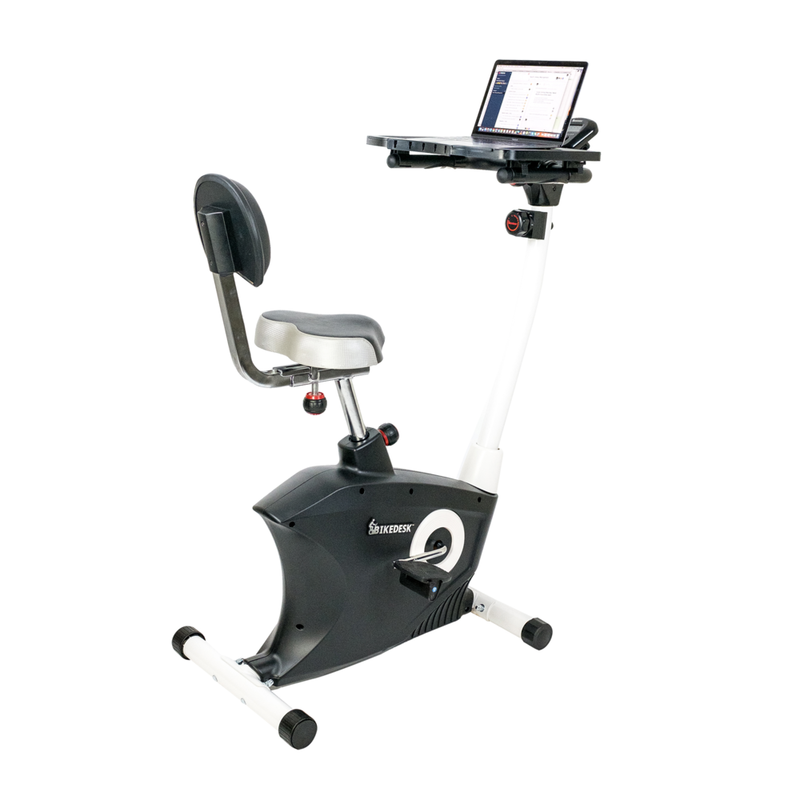 The BIKE DESK is a lightweight exercise bike with a desk installed! 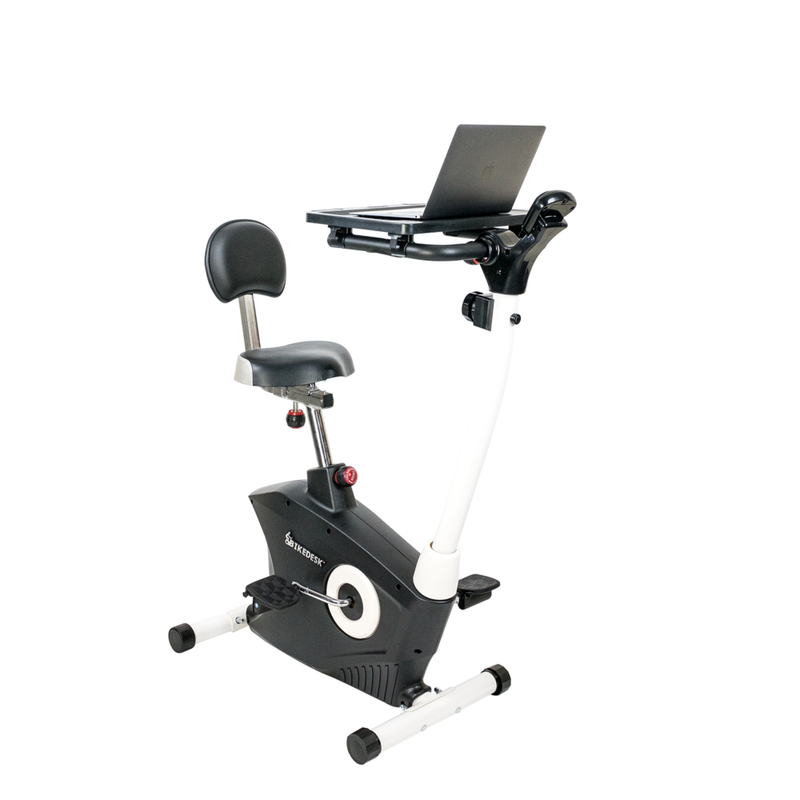 The BIKE DESK exercise bike has been called the best solution for improving fitness for busy people on the market to date. Honestly, what else would enable you to write a report or an essay whilst burning hundreds of calories, or even 1000cal at the same time? There is no shortcuts in life, but you can work smarter. And Bike Desk exercise bike is one of the smartest ways to work! Not only is it great for improving fitness, losing weight and feeling great, it also helps you fight the adverse health effects of sitting down for hours at a time. Research has linked sitting for long periods of time with a number of health concerns, including obesity and metabolic syndrome ? a cluster of conditions that includes increased blood pressure, high blood sugar, excess body fat around the waist and abnormal cholesterol levels. 'Sitting Disease' also seems to increase the risk of cardiovascular disease and cancer. Not only can you burn over 600 calories an hour while you work, but it is a great way to combat these negative health effects. 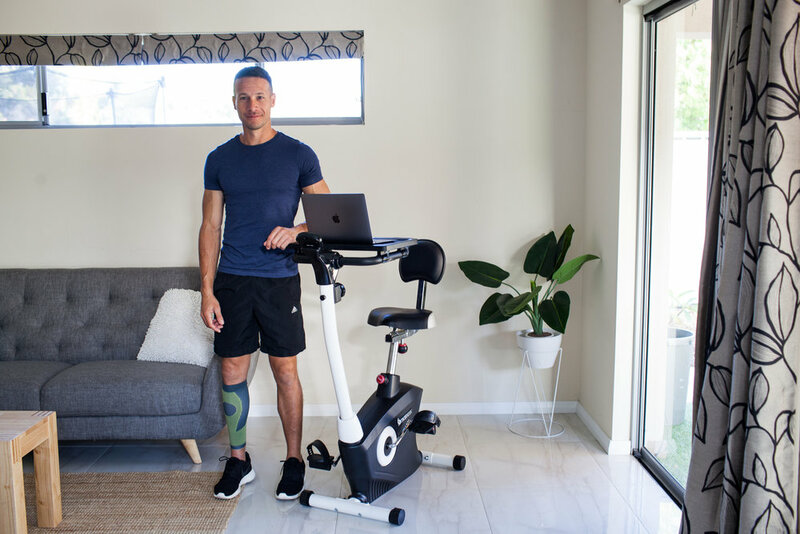 We all need to become more active, and an investment in a Bike Desk exercise bike is an investment in your health and longevity - there is no price you can put on your good health. BUY IT NOW AND IMPROVE YOUR HEALTH TODAY! Our products are shipped via courier from Sydney. Please give a physical address where someone can sign for delivery. PO Boxes are unsuitable. All Bike Desk exercise bikes come with a limited, one-year product warranty from the date of purchase. Please be aware anywarranty claims will require shipping to our warehouse in Sydney. 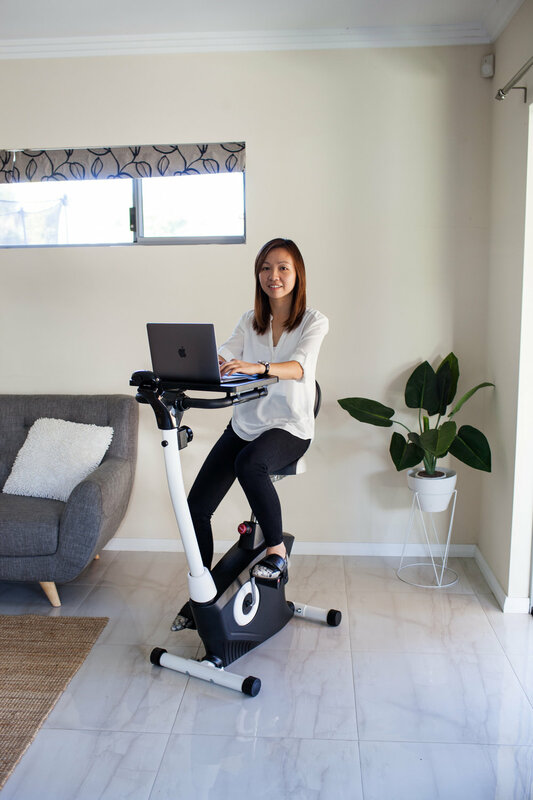 Compared to a treadmill with a desk or a treadmill with a workstation, the Bike Desk exercise Bike enables a much higher calorie burn per hour whilst still remaining productive and being able to focus on your work.